Mindfulness is a key ingredient in resolving our problems. It fundamentally changes the way we relate to ourselves, each other and our environment. The more people practice it, the better off we’ll all be. 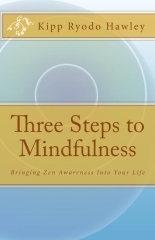 This blog is here to help increase awareness of mindfulness and how to practice it.